During our travel through Mexico, one of our main focuses was on the anthropological side of the country. 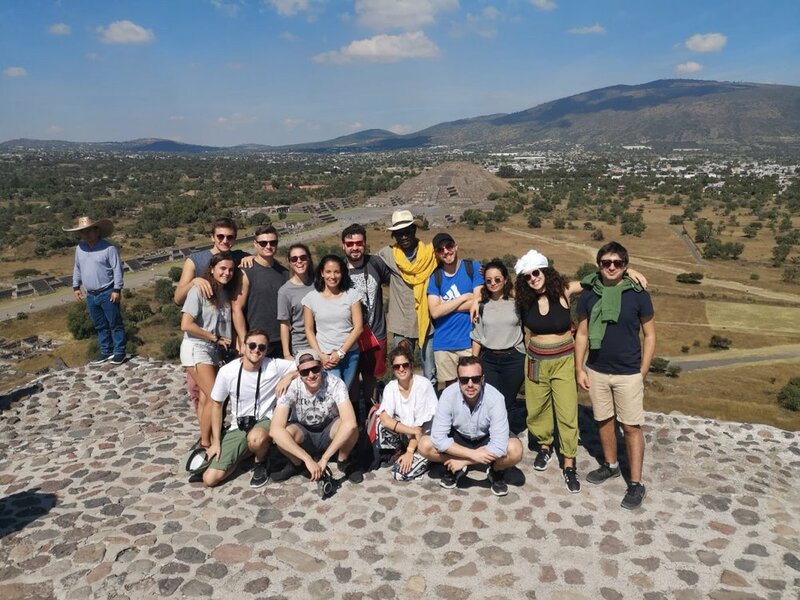 After learning about the basics of the pre-Columbian era and Mesoamerican culture at the National Museum of Anthropology in Mexico City, it was time to go to one of the biggest archeological sites in Central America. 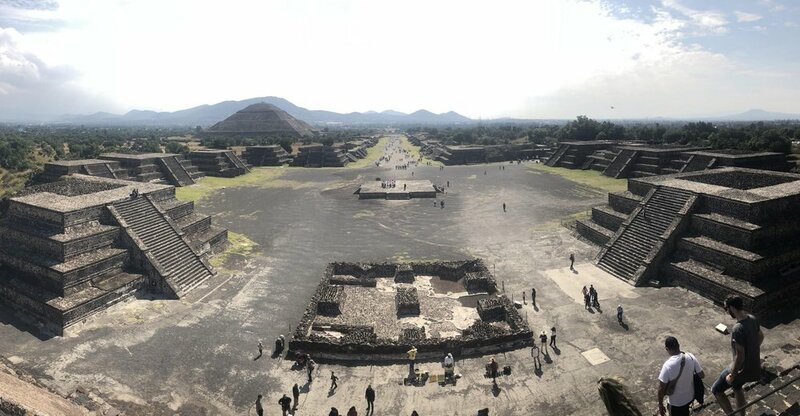 Teotihuacàn was founded around 600 years BC and between 100 and 650 AD it was the cultural center of Mesoamerica, with an estimated 200.000 inhabitants, making it one of the biggest cities in the world at the time. The excavations are famous for the Sun and the Moon Pyramids, the Avenue of the Dead, and its big, multi-family compounds. As the word Teotihuacàn, which translates to “place where men become gods”, indicates it was also one of the most important religious centers in the pre-Columbian Americas. The city disappeared sometime between the 6th and the 8th century, but it is not entirely known for what reason. Some theories say that it was attacked by invaders, others say it was burned to the ground due to an internal uprising against the ruling class. Anyway, this place is pure magic and whoever has the chance to go there, shouldn´t miss it.